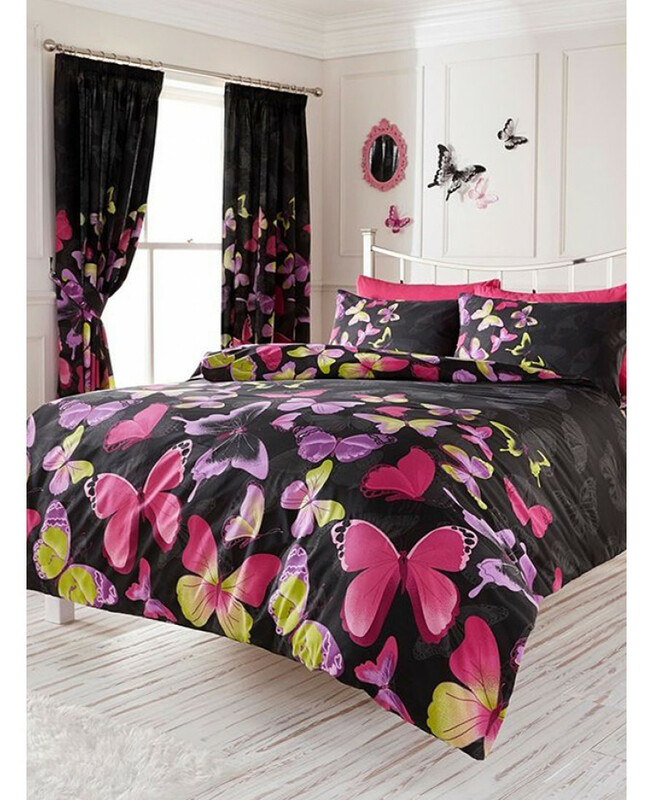 Girls of all ages will love this stylish and colourful Fashion Butterfly king size duvet cover set. The duvet cover and pillowcase feature a collection of pretty pink, purple and green butterflies set against a black background. This bedding set is made from a polycotton blend and is suitable for machine washing and tumble drying.